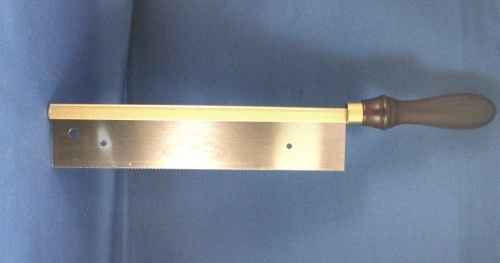 The Crown hand tools 10 inch luthiers saw has a full length brass back and a turned rosewood handle. The blade has fine tooth that cut on the pull stroke and the kerf is designed to correctly match the tang of the fret wire for a secure fit. 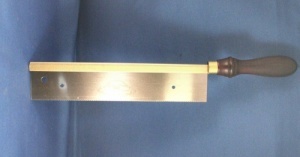 There are holes drilled in to the blade that allow a depth stop to be fitted ( not supplied. ).